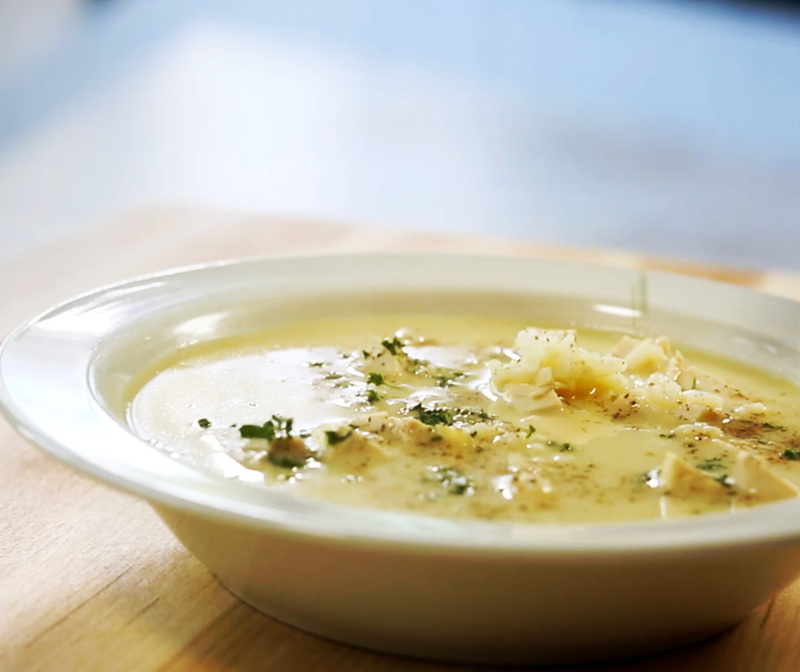 Whether you want to serve up comfort food on a chilly winter day or whip up a quick weeknight meal the whole family will love any time of year, our Lemony Chicken Soup is the answer. Brimming with protein and a burst of citrus, this recipe comes together quickly with staples you probably already have in your pantry. When you try it, don’t forget to take a pic and post on Instagram with #TakingOnHealthy! Slowly whisk in egg/lemon/broth mixture – too fast may create scrambled eggs! Cook 5 more minutes. Mixture will thicken as it sits. Click here to find the original recipe and other great tasting dishes.